For the last year or so, something truly fascinating has been happening in the waters off the coast of Jupiter, Florida. 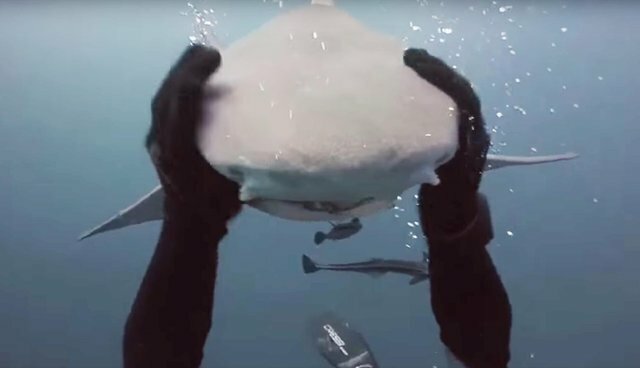 There, Emerald Charters scuba diving guide Randy Jordan has forged an unlikely friendship with a local group of sharks - though one in particular has taken a shine to him more than the rest. Each day, Jordan and others he leads into that undersea realm are greeted by an 8-foot-long lemon shark whom he's named Blondie. "She recognizes me as soon as I go in the water and runs over to me. It almost looks like she's smiling. She doesn't want food, she just wants to be petted," Jordan told The Dodo. "If you don't give her the attention, she'll bump into you. You have to attend to her. That's just the way she is. It is strange." It's one of those things you have to see to believe. Here she is now, in a video with a diver from the group Shark Addicts. Blondie isn't the only shark Jordan sees every day who seems to enjoy a good head rub, but he says she is the most insistent. And though the reasoning behind such behavior isn't entirely clear, Jordan does have a theory that might explain it. "I'm not a scientist, but I know sharks have a nerve center under their snout and, when that's stimulated, it puts them into a semi-catatonic state," he says. "I think they enjoy it the same way a cat enjoys to be petted." 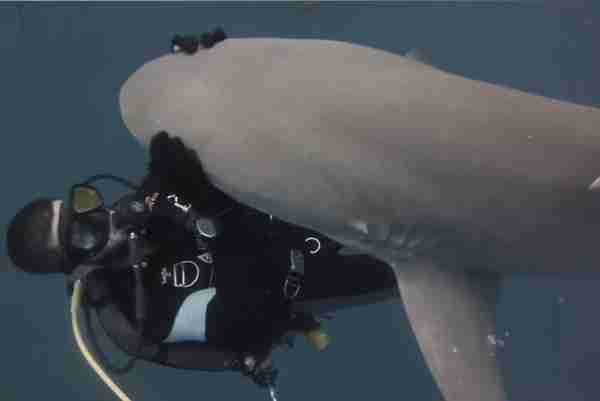 While we may never know for sure what draws Blondie to seek out the friendly diver each day, the peaceful interaction they share is enough to make those who see it rethink their opinions on sharks in general. "If people knew how really nonaggressive sharks are as a species, they would lose the stigma they got from watching 'Jaws'. When people see this, they start liking sharks," Jordan said. "Humans kill 100 million sharks a year, so it's important for people to change their thinking about them." And who better to inspire that change than Blondie?